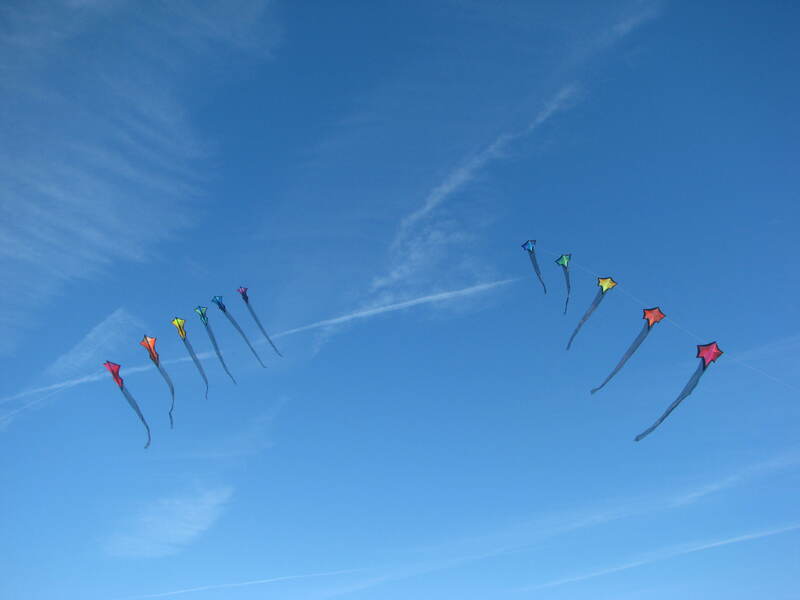 The weather cleared, the temperatures moderated and new kites were ready for their first flight. Ever since I flew the two stack of Revs I had in my mind to try a stack of three. The day finally came when I could train my three Rev custom B-Pros (full vent, mid vent, full sail) together. The winds were about 11 mph when we reached the beach. It took me a little time to get all the kites ready and the lines attached. Upon launching, the pull took me by surprise. They flew great but I did have to be careful and ride the brake a bit. After landing, a check of the wind showed it had risen to gusts of 14 mph. This made me a little nervous because I certainly didn’t want to break anything on my first three-stack fly. I flew enough to know I had control and to get photos of those great looking Revs. In order to have some additional color in the sky, I put up both of my Brasington trains. They danced in the wind and drew compliments from some of the beach walkers. That’s what this kite flying is all about. Bringing smiles to those who see the kites in the air. The weekly club fly was a couple of days later. Temperatures had dropped and so had the wind. The usual Sunday morning state of affairs. But this time I was prepared. 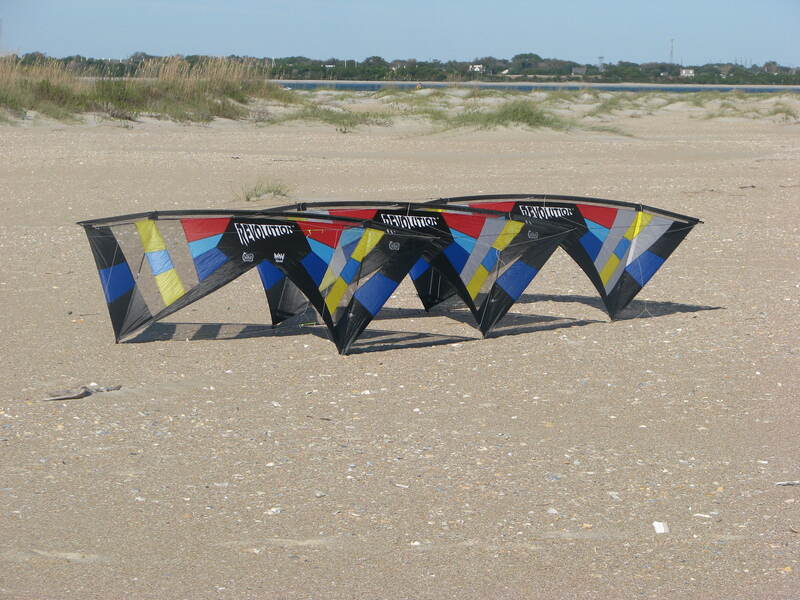 I recently purchased a new low wind kite, the Skydog Black Dog UL. 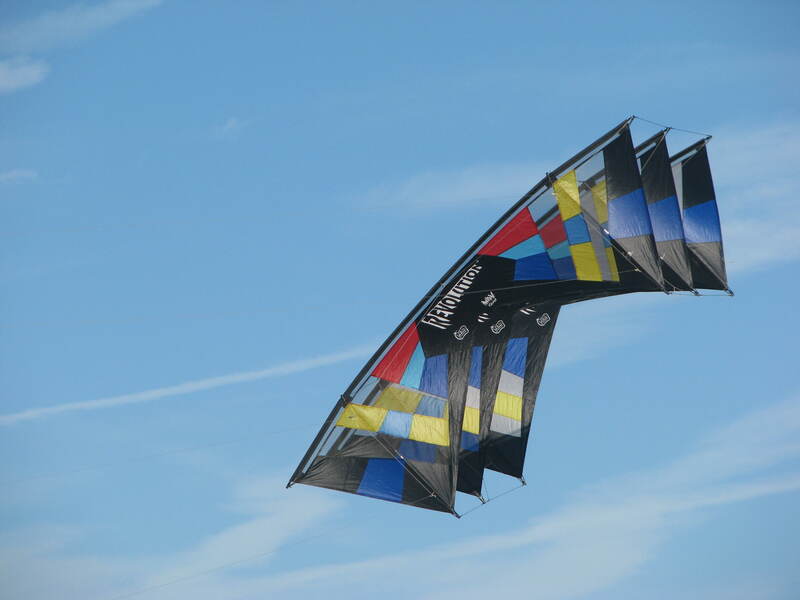 I had flown this kite a few years ago and was impressed with it. With all the low wind days we’ve been having, I decided to treat myself. 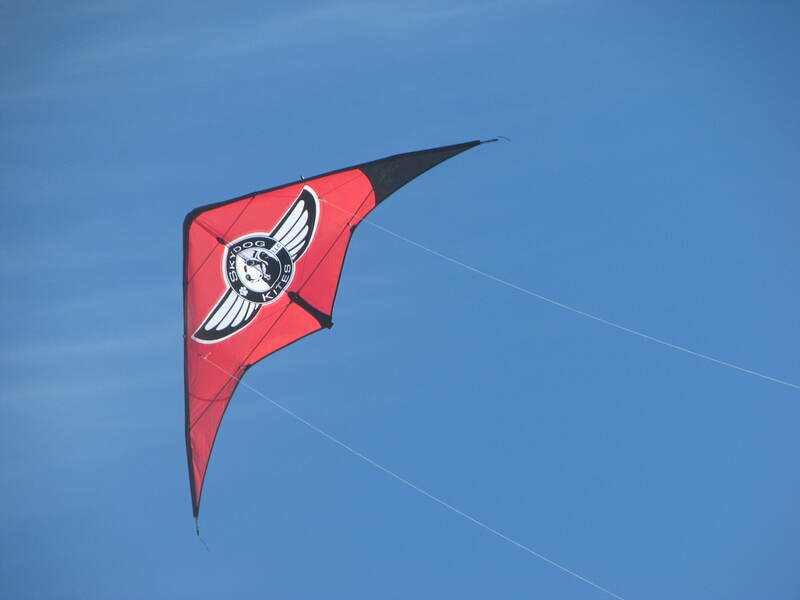 It didn’t hurt that this kite was in my favorite color combination, red and black. The cooler temperatures and low wind kept all but a couple of flyers at home. They missed a beautiful day on the beach and I had a fun morning flying my new kite. How does the Black Dog UL perform for you? I live in low-wind central NC, and I’m always flying the lighter stuff. I found it to be a steady flier. Good tracking and little over-steer. I’m no tricker but when the lines were slack, it seemed as if the kite was waiting in the sky for commands for tricks. (It was designed to be a trick kite.) A pull on the lines and the kite gains impulsion and momentum right away. I really liked this low wind kite. I may even try to learn some tricks with it. « When Will Mother Nature Cooperate?